Being a tall, skinny, and lanky guy, finding clothes that fit just right can often be a real pain in the rear. There are plenty of options out there for average-sized and larger men, but when it comes to those of us that are tall and skinny, the whole clothes shopping thing can often create for a lot of headaches. This is especially true when it comes to shirts, and today, we’ll be looking at the best dress shirts for tall skinny guys. Dress shirts are something that every guy should own, but if you have a build that’s skinny and tall, getting your hands on a dress shirt that’s made for your body size is much easier said than done. We’ve noticed a lot of sites focusing on the best t-shirts for tall skinny guys, but there’s not a lot of guidance when it comes to dress shirts. We decided that it was time to change that. Without further ado, here are our top 5 picks for the best dress shirts for tall skinny guys! The first shirt we’d like to shine some light on is the H2H Men’s Classic Dress Slim Fit Shirt. The H2H brand has caught a fair bit of traction on Amazon over the past couple of years, and it’s quickly becoming a big provider of some of the best tall and slim men’s clothing online. H2H’s shirt is made out of 60% cotton, 35% nylon, and 5% spandex. This choice of materials is really quite nice, as it allows the shirt to not only be super soft, but flexible and extremely comfy at the same time. There are a wide variety of different colors that you can choose from, and the overall style of the shirt is very simplistic. The buttons look and feel nice, the colors are very deep and rich, and while some might be turned off by the lack of a breast pocket, we think this is actually a good look for those that want to go as minimal as they can. H2H does recommend that you hand-wash the shirt, and while this can be annoying for those that want to use a washing machine, washing the shirt by hand really isn’t all that difficult. If you’re looking to step up your game, the Van Heusen Men’s Poplin Fitted shirt is another great pick. Made out of 65% polyester and 35% cotton, Van Heusen’s shirt isn’t quite as heavy or dense as the H2H one. The shirt features a regular cuff, pointed collar, and there is a pocket on the chest that can be used for holding your glasses, phone, or other small items if you’d like. This particular Van Heusen shirt has been fitted, and this means that it will offer a tighter and snugger fit than competing shirts. In other words, it’s an excellent pick for guys that are tall and skinny. There are once again a lot of different colors that you can choose from, and Van Heusen gets another leg up over H2H with the fact that you can safely throw the shirt in the washing machine. Hand washing isn’t the end of the world, but having the option for machine washing is great to have. Click here to view Van Hausen Dress Shirt on Amazon. If you’ve ever read skinny guys fashion tips, you’ll know that wearing a shirt with a pattern can often do wonders when it comes to the overall appearance of your clothing and how it fits on your body. YTD seems to have gotten this memo as well, as the company’s printed dress shirts are some of the most eye-catching ones on this list. YTD opted for a 100% cotton design with its shirts, and while that does make them a fair bit warmer than ones that use a combo of cotton and other materials, it also allows the shirt to be insanely soft and comfortable to wear. The shirt is machine washable, but YTD says that you can hand wash it too if you prefer that method of cleaning. There are a ton of different styles available here, and the printed look is one that we simply cannot get over. It’s a relatively small touch, but it takes the appearance of the shirt and elevates it to an entirely new level. Click here to see the pricing for the YTD Printed Dress Shirt on Amazon. LOCALMODE is another brand that’s recently been killing it when it comes to affordable online clothing, and the company’s 100% Cotton Long Sleeve Plaid Slim Fit Button Down Dress Shirt is one of its finest products yet. This is another shirt that’s made out of 100% cotton, and while some guys may not be a fan of the entirely-cotton design, we’ve become somewhat partial to it while testing all of these shirts out. Cotton is a tried and true material, and it allows these shirts to stay extremely comfy and pristine even after many years of use. There are quite a few different plaid designs that LOCALMODE offers, and all of them bring a distinct and unique look to the table. The Wine Red look is an awesome option for the cool fall months, but the bright Blue shirt is a perfect fit for walking about on a spring day. There’s a lot of versatility here, and we absolutely love it. Click here to see Amazon’s current pricing on LOCALMODE Long Sleeve Plaid Slim Fit. Lastly, let’s talk about Tom’s Ware. 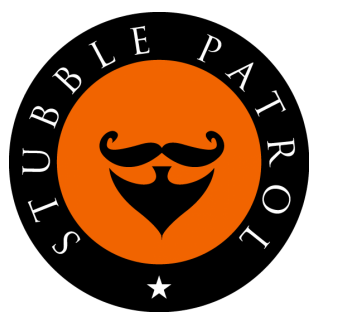 Tom’s Ware is a company we’ve featured here on Stubble Patrol time and time again, and that comes with a very good reason. Tom’s Ware is dedicated to making high-end, affordable clothing for tall skinny guys all across the country, and the Slim Fit Contrast Inner Long Sleeve Dress Shirt is a prime example of just why we love this company so much. For starters, the contrast color design is one that looks downright fantastic. Tom’s Ware combines a primary color with a secondary one that helps to compliment it, and this adds a whole new layer of style to the shirts. It makes them considerably more visually interesting, and it’s a look that we seriously love. Tom’s Ware uses a mix of cotton and spandex for its shirts, and the ability to throw it in the washing machine without worrying about it deteriorating is a really nice touch that makes cleaning quite a bit easier. Click here to read reviews posted about Tom’s Ware Long Sleeve Dress Shirt on Amazon. The trek for finding the best dress shirts for tall skinny guys can sometimes seem like a never-ending uphill battle, but that doesn’t have to be the case thanks to this guide. All 5 of the shirts presented here not only fit incredibly well for guys with a tall and skinny build, but they are also made wonderfully and look stunning. They’re the prefect dress shirts for skinny men, and they deserve a spot in your wardrobe right now.